Kombu is a variety of brown seaweed that is primarily harvested in Japan and Korea. Technically, kombu refers to different varieties of algae and is usually interchangeable with Laminaria japonica and wakame. The seaweed is a popular ingredient in East Asian cooking, especially among the Japanese who use it to make stock soup. According to the Spirit Foods website, kombu is usually sold dried or pickled in vinegar. The superfood is also called dashima or haidai. As with other seaweeds, kombu is an excellent source of iodine that promotes thyroid function. While iodine levels in kombu vary depending on quality, the superfood is known to contain above average levels of the important mineral. Sufficient iodine levels help improve the body’s metabolism and keep cancer and other adverse medical conditions at bay. Besides this, kombu is touted for its rich nutrient content that improves organ function, immunity, muscle agility, and general wellness. The brown seaweed is also notably high in calcium, which is essential in maintaining strong bones and teeth. In fact, an ounce of kombu provides about 12 percent of the recommended daily intake for calcium. This makes kombu an ideal alternative to milk and other dairy products for vegans and people with lactose intolerance. Kombu is naturally rich in dietary fiber that facilitates digestion. According to an article on the Natural Alternative Remedy website, an ounce of kombu may provide as much as seven grams of soluble fiber, which in turn promotes satiety. Likewise, the dietary fiber in kombu serves as a natural laxative that addresses constipation. In addition, kombu is valued for its beneficial effects on the body’s cardiovascular profile. A previous study has shown that the superfood is capable of reducing bad cholesterol levels while simultaneously increasing good cholesterol levels in the body. As per the study, this effect is due to the seaweed’s ability to inhibit cholesterol absorption in the small intestines. Moreover, the superfood is found to effectively enhance blood circulation. Kombu is loaded with iron and may provide as much as 13 percent of the mineral’s recommended daily allowance for every ounce. The superfood’s high iron content is essential in hemoglobin production and oxygen delivery to various organ systems. This makes kombu an ideal food fare against a host of blood-related diseases such as anemia and clotting. Kombu helps enhance the body’s thyroid function and metabolism. Likewise, kombu is essential in maintaining strong bones and teeth. Kombu also bolsters heart health and promotes blood circulation. 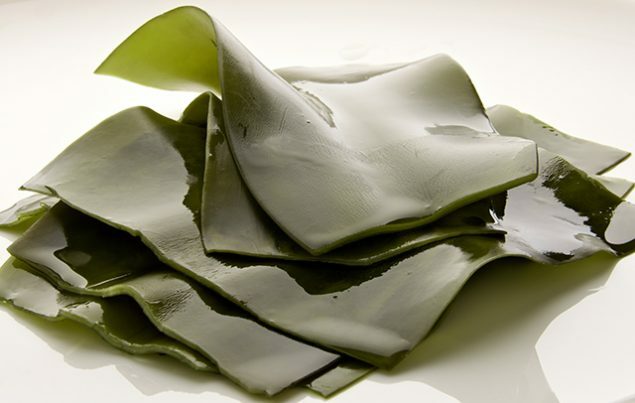 In addition, kombu ensures a healthy digestion and enhances skin condition. Kombu is commonly used in soups and seafood dishes. Likewise, the brown seaweed can also be incorporated in salads and various meat dishes. Online recipe generator BonAppetit.com has curated many interesting kombu recipes across the web. Kombu prevents cancer, anemia, and digestive issues. Kombu wards off blood clots and improves organ function. Kombu is beneficial to the thyroid, the heart, and the digestive system. Kombu enhances bone and teeth strength and blood circulation. Kombu supports skin health and facilitates weight loss.